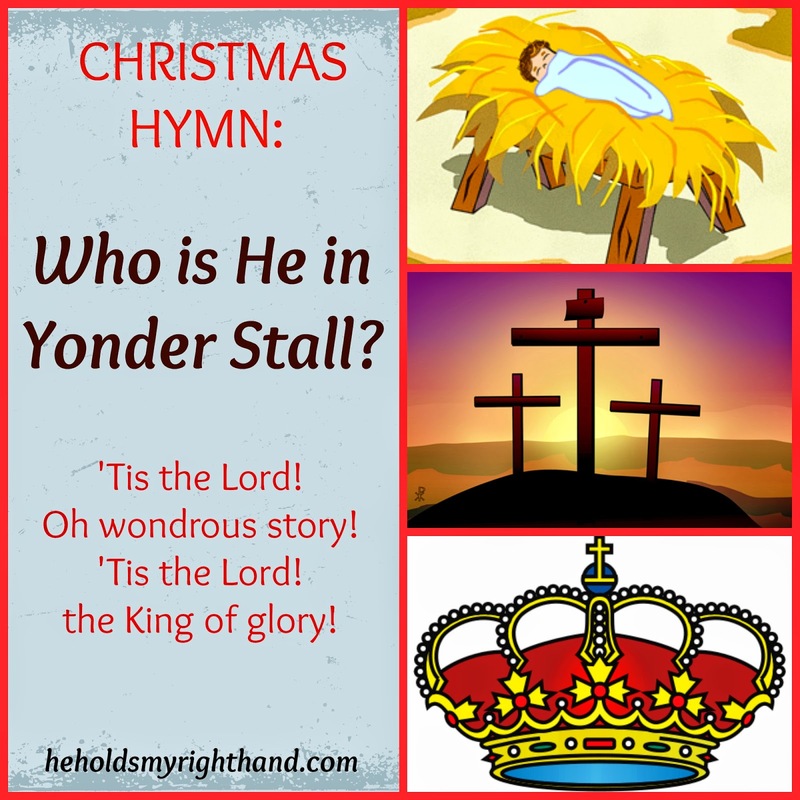 He Holds My Right Hand: CHRISTMAS HYMN: Who Is He in Yonder Stall? Benjamin R. Hanby was born in Ohio in 1833. The son of a preacher who spoke about the evils of slavery, he wrote one of America's greatest antislavery ballads, "Darling Nelly Gray," but he was at his happiest when he was writing Sunday School songs for children. He took a special interest in children, and in music. Tragically, he lost his life to Tuberculosis in 1867 when he was 34 years old. About a year before that, this hymn was published. It is a Christmas hymn that doesn't just cover the birth of Jesus, or the shepherds, or the angels, or the wisemen. It goes much deeper and covers the life of Jesus from Bethlehem to Galilee. It gives us the full story of the Christ child and explains WHY he came to earth. He wasn't just a cute little baby lying in a manger. He was born to be the King - the Savior - of the world. 'Tis the Lord! oh wondrous story! 'Tis the Lord! the King of glory! Crown Him, crown Him Lord of all! Comes to succor, help and save? Rules thro' all the world alone?